The Quinnipiac women’s lacrosse team (1-2 overall, 0-0 Metro Atlantic Athletic Conference) snagged their first win of the season by defeating St. Francis University (0-2 overall, 0-0 Northeast Conference) Saturday afternoon. The Bobcats came out firing right away, as sophomore attack Ashley Bobinski scored her first goal just 58 seconds into the game as she came around the net and fired a shot past St. Francis sophomore goaltender Ashley Stoessel. St. Francis’s sophomore midfielder Livia Baker would tie the game for the Red Flash about three minutes later after Quinnipiac committed three fouls that continually gave the ball back to St. Francis. However, the next five goals would all go Quinnipiac’s way, as Bobinski put in another three goals and freshman middie Avery Drouin got her first two goals of her collegiate career. A late goal for St. Francis would make the score 6-2 to end the half, but it was all Quinnipiac for most of the half. That hustle and hunger would be shown in the second half. It would be an even greater offensive showcase, this time from both teams. Through the first 15 minutes of the second half, 11 goals were scored as each team went back and forth, with Quinnipiac having a 12-6 lead. 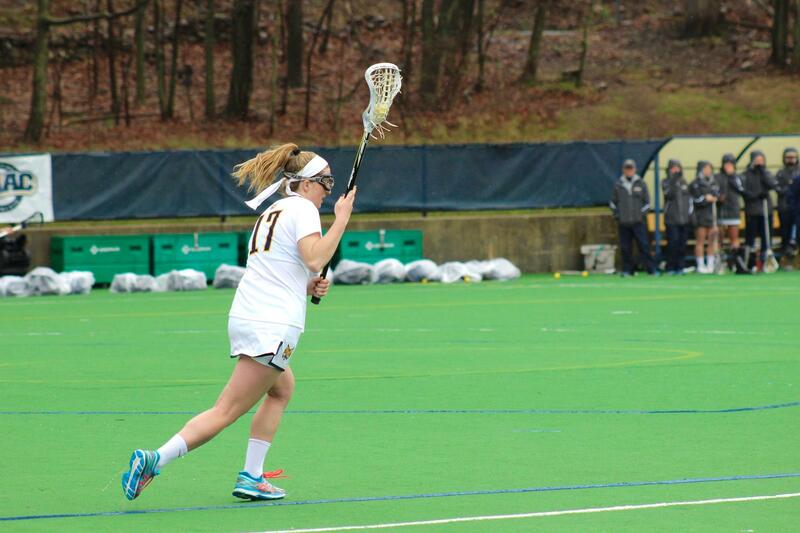 The scoring quieted a bit from then on, and the final would go onto be 15-8 for the Quinnipiac victory. Senior midfielder Jessica Mazzur led the way for St. Francis, scoring five goals. Both senior Kyle Larkin and sophomore Allie Kelsey saw time in net for the Bobcats, with Larkin finishing with eight saves and Kelsey getting two. But it ultimately was the Ashley Bobinski show for Quinnipiac, as she helped the offensive attack and was good for six goals and two assists. She pushed her season total to a team-leading eight goals. With the exception of Bobinski, Quinnipiac saw quite a widespread of point-scorers in the game. 11 Bobcats found their way onto the scoresheet, with five of them registering multiple points, those being Bobinksi, senior attack Emily Byrne (3), Drouin (2), Bobinski’s twin sister Victoria (2), and sophomore attack Kayla Moreau (2). Quinnipiac will return to action on Wednesday, Feb. 28, as the team welcomes the University of Hartford to Hamden. The game between the Bobcats and the Hawks (1-0 overall, 0-0 American East) will begin at 3 p.m. at the Quinnipiac Soccer and Lacrosse Stadium.